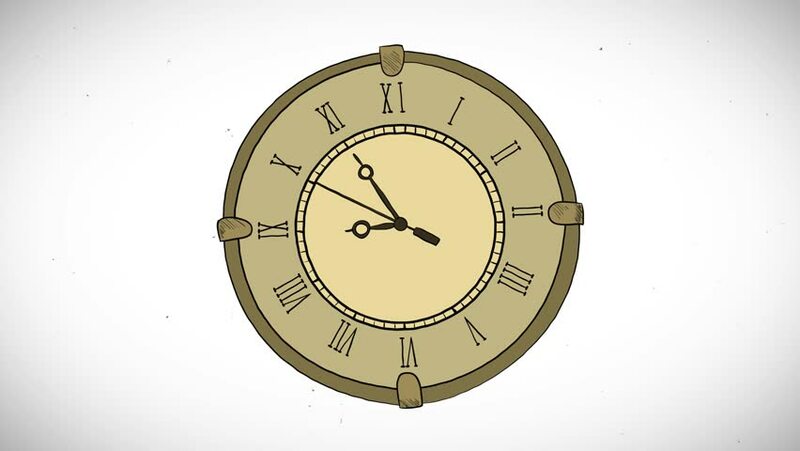 Animated of sketch jiggle clock. Animation in retro dirty film style. Alpha included.